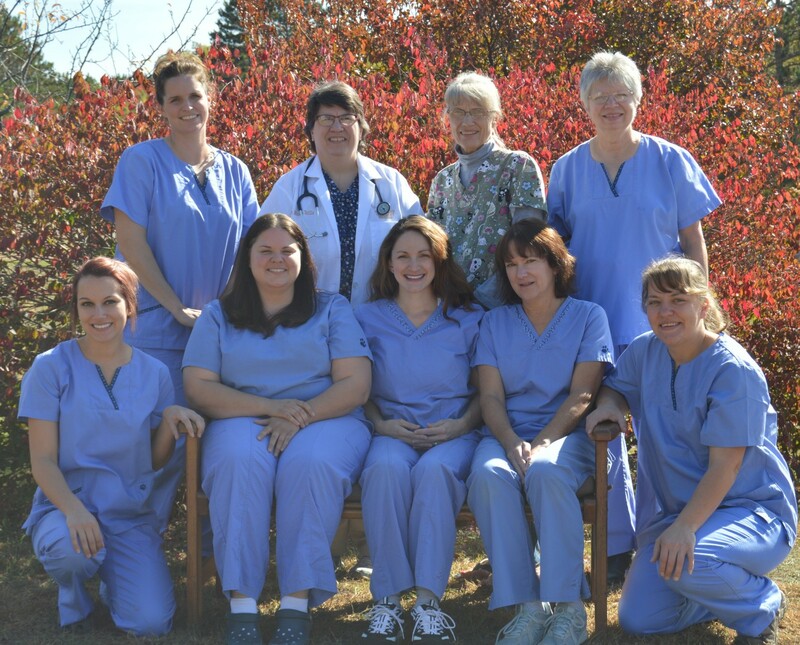 Pictured above: (back row from left) Tiffany Bates CVT, Monica Brilla DVM, Faye Wick and Mary McBrair; (front row) Megan Wicklund, Billie Jo Withers, Nikki Vee CVT, Cathy Johnson CVT, and Darlene Kiggins. Tiffany is a 2000 graduate from Madison Area Technical College with a degree in Applied Science as a Veterinary Technician. She lives in Brule with her husband Jeremy; daughters Amy, Belle and Liberty; two cats Pepper Star, and Gracie (pictured); one dog Gilbert, Annie the Shetland Pony and three horses named Xanadu, Rose and Sugar. 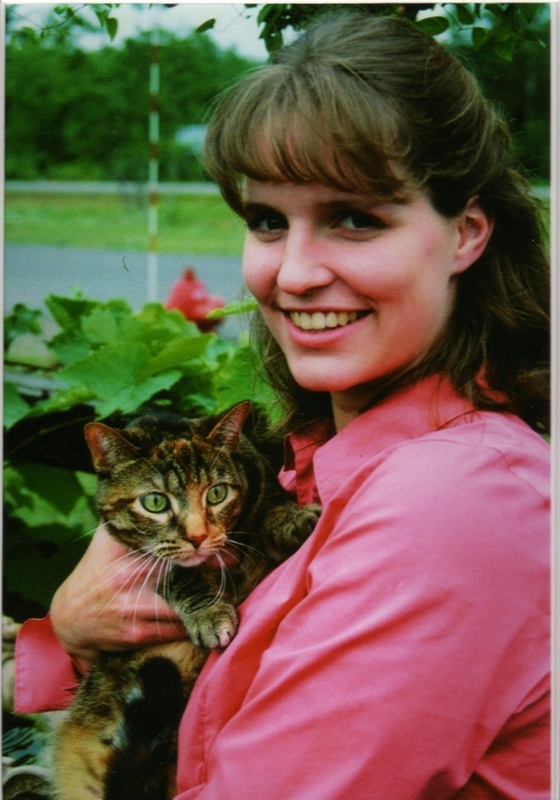 Cathy holds an Associate of Applied Science in Veterinary Technology from St. Petersburg Junior College in Florida and a Bachelor's of Science Degree in Biology from Mankato State University (now the Minnesota State University at Mankato). In addition to working at Northland Veterinary services, She also conducts puppy kindergarten classes and dog obedience classes throughout the year. Cathy lives in Iron River with her husband Bill, daughter Rebecca(Currently at University of Wisconsin Madison), 3 dogs: Tucker, Toby, and Ray; and 4 cats: Sox, Ringo, Thelma and Louise. Darlene was raised in Iron River (Oulu) area. She enjoys spending time camping and being outdoors with her family. She currently lives in Iron River with her partner Bradley and their son Denny Dean. Mary was born and raised in Milwaukee and lived many years in the Madison area before moving to Iron River in 1989. Even though she is a big city girl, she has always been a small town, country girl at heart. She has fond, loving memories of spending summers on her aunt and uncle's farm as a child. She loves the "friendly, family" atmosphere of Iron River. She shares her home with her dog Skylar and cat, Sadie. Nicole was born and raised in Iron River. She enjoys spending time with her husband while hunting and fishing. Nicole is a September 2010 graduate from Duluth Business University, with an Associate of Applied Science degree in Veterinary Technology and holding licenses in both Minnesota and Wisconsin. She lives in Iron River with her husband Jamie, their daughters Lauryn, Lisa and Lacie, her dog Bullet (pictured) and cat, Booger. Faye has lived in Iron River her whole life and presently shares her home with her dogs: Bailey, Clover, Happy, Lucy and Rocky(pictured); and her cats: Beauty, Belle, Emme, Goldie, Jewel, Muff, Puff, Tazz (pictured) and Daffidil. Billie grew up in Sturgeon Bay, WI and recently moved to Oulu. She loves the outdoors and spending time with her family and friends. 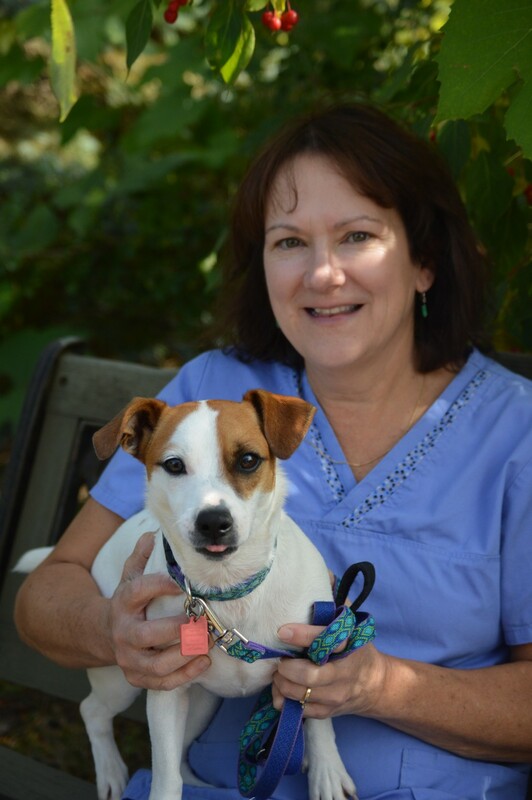 She is the proud owner of a Jack Russell Terrier named "Sassy" and recently adopted a cat named "Jackie". 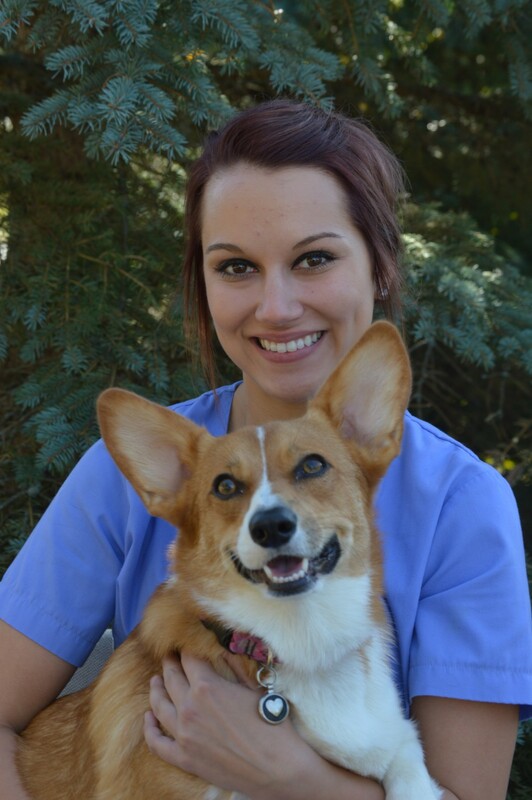 Megan was raised in Iron River and has always enjoyed working with animals. She lives here in Iron River with her boyfriend Matt, their 3 Corgi's Marlee(pictured), Otto, Toby and also their cat Nala. Megan loves spending time horse back riding and is a very passionate horse racing fan. She is the proud owner of 3 horses named Ace, Juneau, and Ruger.